AVAILABLE NOW - 4 NEW LANDSCAPE PAINTINGS "FARMS AND BARNS"
now available via the "Pastels, tools & Paper" button, plain or with pre printed outlines. Welcome to the Moody Views website. On this website you will find two galleries (Landscapes and Seascapes) featuring a number of Graham's original paintings as well as information on forthcoming demonstrations, workshops and other events. 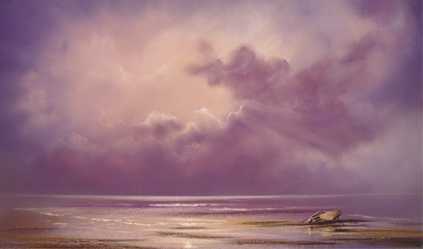 This site allows you to purchase Grahams pastel sets, pastel pencil sets, colour shapers, pastel paper and original paintings via the Moody Views Galleries, Pastels tools and Paper buttons above. Please use the buttons at the top to navigate. If you would like any help, advice or information on painting in pastel, materials, demonstrations or workshops please drop me an e-mail via the contact button above and I will do my best to answer as soon as possible.